Economics is traditionally taken to be the social science concerned with the production, consumption, exchange, and distribution of wealth and commodities. Economists carefully track the comings and goings of the human household, whether written small (microeconomics) or large (macroeconomics) and attempt to predict future patterns under different situations. However, in constructing their models of economic behavior, economists often lose sight of the actual characteristics and motivations of their human subjects. In consequence, they have found the goal of an explanatory and predictive science to be elusive. Economics as an Evolutionary Science reorients economics toward a more direct appreciation of human nature, with an emphasis on what we have learned from recent advances in evolutionary science. The authors integrate economics and evolution to produce a social science that is rigorous, internally coherent, testable, and consistent with the natural sciences. The authors suggest an expanded definition of "fitness," as in Darwin's survival of the fittest, emphasizing not only the importance of reproduction and the quality of offspring, but also the unique ability of humans to provide material wealth to their children. The book offers a coherent explanation for the recent decline in fertility, which is shown to be consistent with the evolutionary goal of maximizing genetic success. 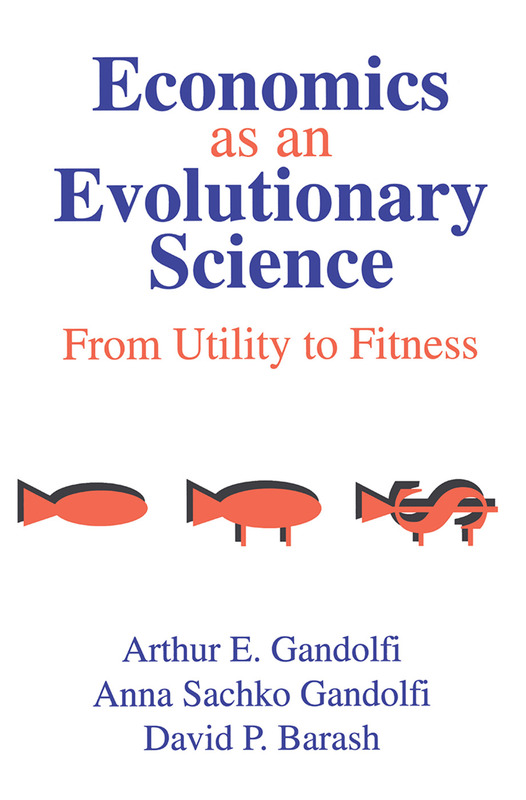 In addition, the authors demonstrate the relevance to economics of several core concepts derived from biologists, including the genetics of parent-offspring conflict, inclusive fitness theory, and the phenomena of R-selection and K-selection. The keystone of their presentation is a cogent critique of the traditional concept of "utility." As the authors demonstrate, the concept can be modified to reflect the fundamental evolutionary principle whereby living things-including human beings-have been selected to behave in a manner that maximizes their genetic representation in future generations. Despite the extraordinary interest in applying evolutionary biology to other disciplines, Economics as an Evolutionary Science marks the first major attempt at a synthesis of biology and economics. Scholarly yet accessible, this volume offers unique and original perspectives on an entire discipline.